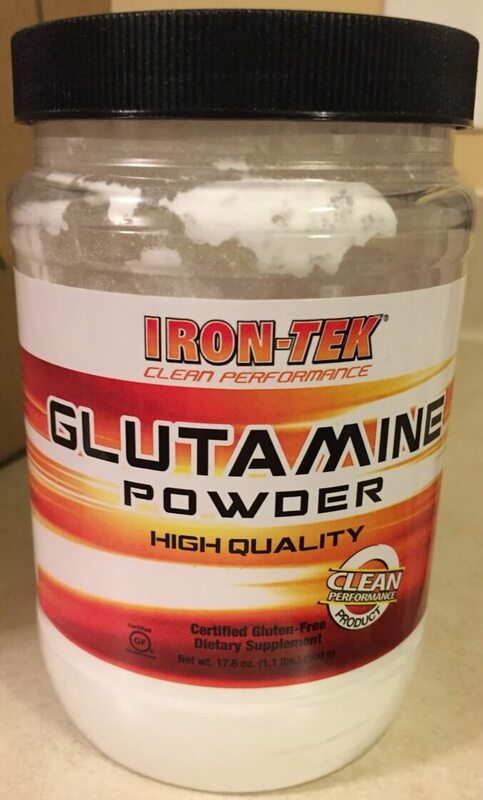 This Iron-Tek Glutamine Powder (along with BCAA) was recommended to us for muscle recovery and soreness. 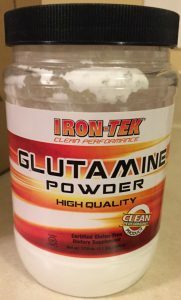 It seems to work, but the BCAA tastes pretty awful. Supposedly the bonus amino acids help your body repair and build muscle faster/more easily. I’m not sure, but it does seem to work. 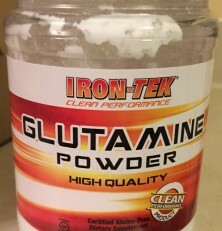 See BCAA post for a little more details. 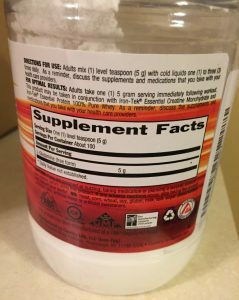 I don’t use a lot of supplements, but this one seems to help.